A few congressman are joining furloughed government workers in solidarity - or pulling off a giant PR stunt, which most could use - by rejecting their paychecks. 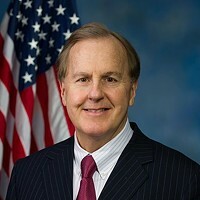 Among those either rejecting or donating their moneys are North Carolina's very own Robert Pittenger, David Price, Virginia Foxx and Mark Meadows. But get your pitchforks out, Greensboro: Rep. Howard Coble has opted to keep his.